Being freelance has many joys. One is being able to follow-up interesting invitations as quickly as I please. I met Sarah and Thomas Tobias at the Design in Mental Health Conference on 19 May 2015. Her description of The Dragon Cafe was really appealing. So yesterday I found myself there. It happens between 12.00 – 20.00 every Monday in the crypt of St George The Martyr Church in Southwark, London SE1. And it is like nothing else I have ever experienced. In two large basement rooms plus limited outside space, an average of 220 people a week drop by to take part, free, in many activities including art groups, various dance classes – yesterday was a brilliant African dance session – Tai Chi, mindfulness, chess, well-being sessions, massage, creative writing, or just chilling out. Some chat, others sit or lie quietly on beanbags. Some are clearly not as well as others, but everyone attends as an equal voluntary member. I have signed up, as have 4,500 others who have attended since the cafe first opened in October 2012. An important part of being a cafe is the food, which fills the air with fragrant herbs and spices to tempt any appetite, served with care on china plates and eaten at comfortable tables kept clean and fresh by volunteer staff. I ate a delicate cauliflower and vegetable stew with brown rice. It cost £5. I could have had soup with artisan bread for £2, tortilla with a bowl of salad for £4 or beans on toast for £1. I also spotted brownies, flapjacks and scones, all freshly made. For many members, this is the only opportunity in the week to eat home-cooked food. The cafe is organised by Mental Fight Club, a charity which found its roots in the work of poet Ben Okri who himself was inspired by William Blake, and by Blake himself, whose words taken from Jerusalem I have used as the title of this blog. The charity embraces difference, and seeks to work in a complementary way with statutory services. They have achieved funding from the Maudsley Charity, Guy and St Thomas’ Charity and Southwark CCG to keep going despite swingeing cuts to voluntary services elsewhere. Long may they continue, because they are enabling people to live well and stay well, and to cope with life at times when they are less than well. Annoying it always takes an Ishiguro or an Atwood to make people understand that even if something isn't realistic it can still be real. We need to open our minds to how we help people. I believe strongly in the need for NHS mental health services to be properly commissioned, funded and supported. 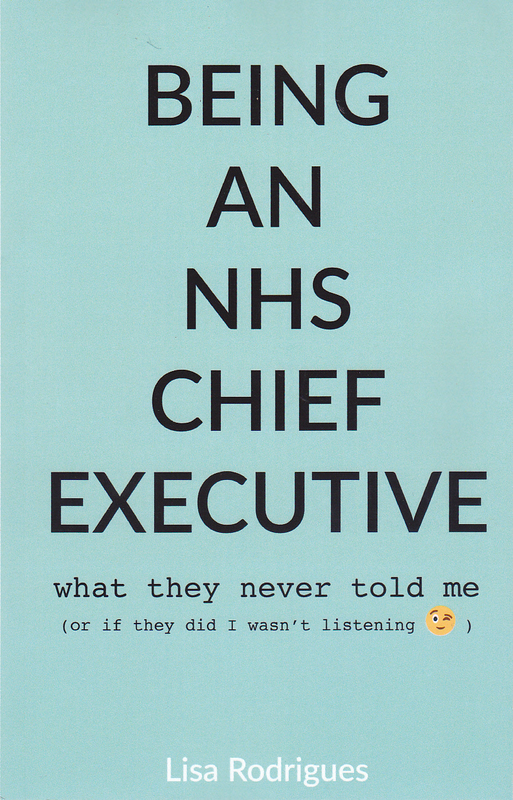 But the NHS cannot and should not do everything. 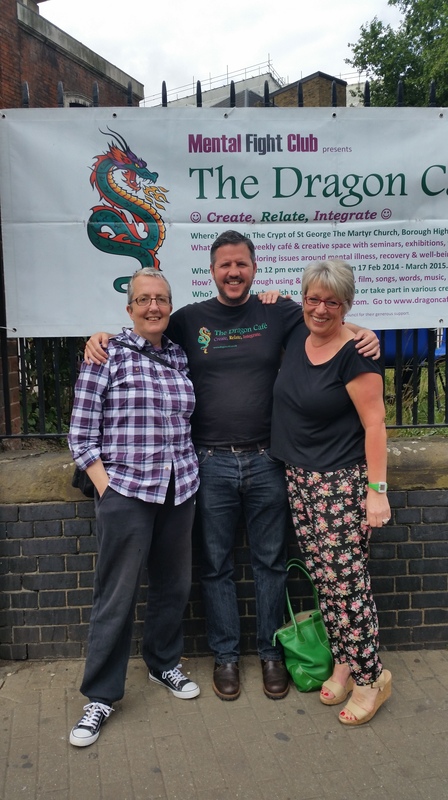 The voluntary sector, when it is good as The Dragon Cafe, can make the difference between existence and enrichment and fulfilment. What Alison said made me think very hard about how we do, and don’t, support staff who daily deal with matters of life and death, and sometimes feel traumatised because they cannot achieve what they consider to be optimal care. Inspection, standard setting, performance management, serious incident reporting, root cause analysis, NICE guidance and all the rest are, may I say, not the whole or even the most important part of the answer. Only by recognising the needs of those doing the caring, and meeting these in ways that are meaningful to them will we truly design compassion into public services. Do visit The Dragon Cafe. You will see what I mean. Posted in Uncategorized on June 9, 2015 by LisaSaysThis. Mindfulness is a very helpful practice for those who can use it. But it won’t work for everyone, particularly if you are severely depressed or agitated. Seek advice from your GP or a therapist if you are unsure. And don’t believe everything you read about it on the internet – good or bad. Mindfulness grew from the Buddhist tradition of meditation. You don’t have to become a Buddhist to use it. But in my experience, embracing some of the aspects of Buddhism, particularly loving kindness, really helps. Mindfulness is like any exercise. It requires frequent, regular, focussed practice. Practice won’t make you perfect, but it will help you improve. As with physical exercise, I find myself making excuses not to do it, but usually feeling better when I have. Becoming more mindful isn’t just about the allocated meditation period. You will gradually carry the increased serenity achieved through the meditation into your other activities and interactions. For me, this includes listening more carefully, eating more slowly, and appreciating loveliness in small things that would otherwise pass me by. You don’t have to go to a class or retreat, but a short course will undoubtedly help you develop the discipline to practice. There are Mindfulness CDs and books to get you started. Here is a good local resource in Sussex with links to other sites. Some people think Mindfulness is a panacea to make us more passive and accepting of bad things that happen to us. It isn’t. It is an exercise that helps us focus on what matters and become more effective in tackling personal and political challenges. People who teach Mindfulness do not sit in judgement of those who do not. Nor do they advocate it as an alternative to prescribed medication for mental illnesses. Far from it. Mindfulness can help people with no history of mental illness, as well as those (like me) who need help to stabilise our mood, lift depression and assist us to take control in our own recovery. It is powerful because it helps us manage our own negative thoughts. I use it in combination with what I have learned through Cognitive Behaviour Therapy (CBT) and other psychological insights gained through therapy. My current negative thoughts include worrying that I am too psychologically weak to manage to come off my antidepressant medication. I hasten to add that I am doing so under clinical supervision. Today is my 2nd no tablet day for 18 months. My Mindfulness practice this morning was about recognising my own strengths, and counting my blessings such as having a loving family and a sympathetic, skilled GP. Plus accepting the temporary side-effects (feeling swimmy-headed and a bit fragile) as a necessary cost to achieving my goal. And reminding myself that if/when I need meds again, it won’t be a sign of moral weakness. Mindfulness based therapy can be extremely useful for people who hear voices – voices that may or may not be symptoms of psychotic illnesses including schizophrenia. Some of my ex-colleagues wrote this lovely self-help book about using Mindfulness and CBT to manage such troubling voices. One of the inequities of our health system is that people who would benefit from effective, life-saving and life-changing psychological therapies do not always receive them. Imagine the furore if there were cancer treatments that were known to work but were only offered to a small percentage of those who would benefit. Now that I am a free agent, I am campaigning to improve access to the right mental health treatments. And as I said last year, I can be difficult to ignore. If you are one of the 75% of the population who didn’t vote for the new government last week, you may describe how you are feeling at the moment as depressed. Some people will point out that this isn’t clinical depression. I don’t personally mind what you call it (see my last blog). I simply note that Mindfulness might help you focus on what to do now so that you don’t feel the same way in 2020. So why not give Mindfulness a try? Posted in Uncategorized on May 13, 2015 by LisaSaysThis.